Tales From Sonoma: Anthill Farms Winery and What if? It is like Christmas in the blogosphere! Every where I turn, I’m abundant with content, content, content. I posted my #MWWC13 “Serendipity” entry, my weekly sparkling wine review “Pretty in Pink..We Think.” and now this; a reblog of my dear friend and taster in crime The Drunken Cyclist “Adventures in Sonoma” part deux. I was merely a mention, but felt inclined to express my delight sipping, spitting and nerding out with DC in DCV (Dry Creek Valley.) Our visit with Ant Hill was eye opening. I was truly impressed with the passion and resolve the partners had in making their vintner dreams come to life and ultimately thrive. I love a good success story that inspires and I also learned that I like eating the crushed grapes out of the vats of primary fermentation. Who knew? Sadly, another missed opportunity to ride tandem on bicycletta as I rode shotgun in rental car. But Jeff did refrain from yelling vehement profanities at other drivers who were either disabled, elderly or loosely affiliated with a food kitchen or animal rescue organization. Let the good times roll….just not through a stop sign. 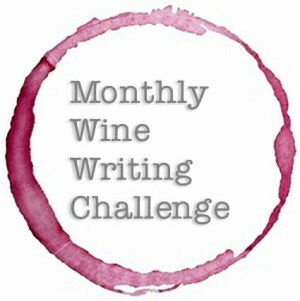 This is my entry in the Monthly Wine Writing Challenge (#MWWC13). What if, when I had lived in California (and was still relatively young) I had quit my job and moved just a few miles north to wine country and found a job in the wine industry? What if instead of moving back East to be with my now wife, I had convinced her to move back to the West Coast? ← Pretty In Pink…We Think.